No hills here. This route is flat and paved, which makes it ideal for sneaking in a quick run close to SCH. It’s also a great view of the Bay Bridge and the incoming boats. However, the main perk of running along the Embarcadero has to be the lack of traffic lights and intersections in the heart of downtown. Try finding another route like that in the Financial District. Located inside The Presidio, the Golden Gate Promenade is a dream to run. With a waterfront trail and views of the Golden Gate Bridge and Alcatraz, it’s no surprise that this is a popular spot with both locals and tourists. 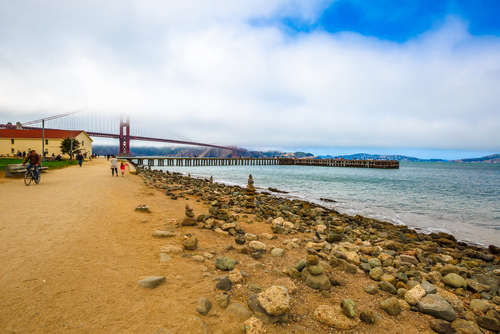 Aside from the amazing views, it’s also is home to Crissy Field which offers tons of recreational activities including swimming and rock climbing. 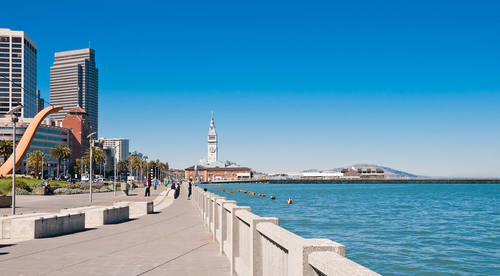 A San Francisco favorite for running, here you can run for miles. With numerous trails and tons of sites, this is an ideal spot for those runners with short attention spans. Golden Gate park has everything imaginable - then some. 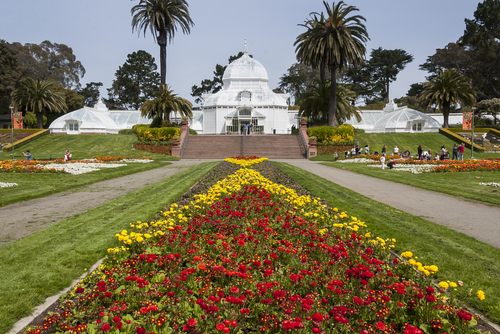 From tennis courts, baseball fields, and museums to a flower conservatory, a waterfall and bison roaming freely, Golden Gate Park is one of those experiences you need to live. This might be the most scenic run in all of San Francisco. 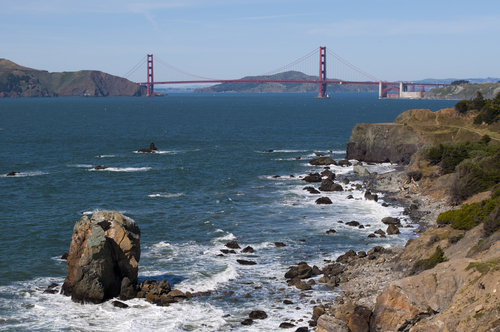 With bird’s eye view of the Pacific, rocky cliffs, the beach, and a view of the Golden Gate Bridge, the Lands End Coastal Trail is as photogenic as it is a workout. You won’t find any pavement here; the Lands End Coastal Trail is all natural. Expect to get a little interval training in as well. This trail comes with some slight elevation changes. And if jogging isn’t your thing, rent a bike from SCH and leave the runners in the dust.